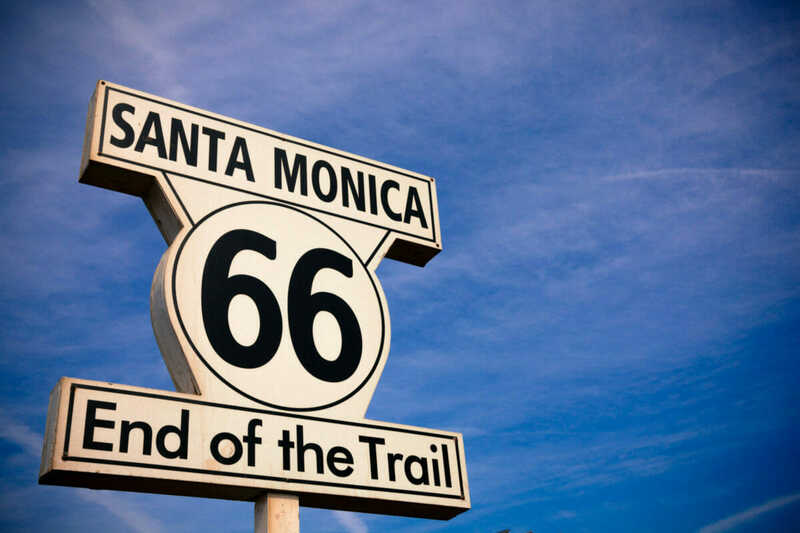 For a quick weekend trip that offers sun, beach along with being a great fit for kids, check out Santa Monica, CA. Even if you’re in SoCal and within an hour or so drive, it’s still worth making it a mini-vacation as it’s a great getaway and well worth the cost. And it’s especially a great and easy trip for those of us farther away since flights to LAX are often a steal. I’ve found weekend trips are often much more enjoyable overall than long ones – less planning, less packing yet very satisfying and rejuvenating. I know it’s hard to be in SoCal without hitting Disneyland, but trust me when I tell you that this destination will provide huge fun for the whole family (and wwaaaayyy more relaxation for you!). For less or about the same as a Disney jaunt (depending on how you roll D-land) you can stay right on the beach and have access to one of the “World’s Top 10 Beach Cities” per National Geographic Traveler. And just so you know, my recommendations are from the heart as this is not a sponsored post nor am I receiving any type of affiliate compensation for my suggestions and reviews. I’d highly recommend the Shore Hotel not only for the amazing location and lovely rooms, but also for the uber family friendly and dialed in staff! There are other nice places at the higher and lower cost spectrum, but we appreciated the fact that they are a Green hotel, have a nice friendly vibe, and the styling of the rooms was cool and modern. It’s definitely in a luxury class without getting stuffy or too swanky for the kids to feel at home. We paid $464 for an Ocean View 2 Queen room but they started at $339. For me, it was worth the extra $$ for the view since the one thing I miss about living in Southern California is the beach. But beyond all that the hotel itself has to offer, its major draw is being just a few steps away from Santa Monica Pier and Pacific Park. The rides at Pacific Park are perfect for a variety of ages ranging from little ones like my 4 year old on up to big kids like my husband. Loved the West Coaster (& loved the pun) and the first solar powered Ferris wheel, the Pacific Wheel. Try to time the Wheel ride at sunset for an even better experience. Beyond Pacific Park, the beach itself is one of the nicer in SoCal so be sure to slow down enough to hang out and enjoy it. We also had a great bike ride and enjoyed shopping at the Promenade. There are a bunch of other non-Dland things to do but we were trying to relax and chill out so we skipped on things like the La Brea Tarpits, the Hollywood sign and other usual LA sites. Email the concierge at the Shore ahead of time and they’ll get right back to you with suggestions as well as make any reservations you’d like. We were super thankful that the concierge got us into The Lobster on a busy weekend. There’s a lot of great food nearby to choose from but if you’re able, do go to The Lobster—it’s a classic, lovely dining experience that’s been updated so a good blend of chic and traditional. Our kids loved it (and even upped their manners a bit). Also, check out True Food Kitchen for sure—the kids menu is awesome. Isabelle has been replicating their almond butter, banana & apple sandwiches ever since we went. As far as transportation goes, the hotel helped with a towncar and we Uber’d other places so we skipped the rental car. If you want to see a bit more than just Santa Monica definitely get a rental car because you never know how long you’ll sit in traffic and the Uber or taxi fares can rack up. So, all in all, it’s a highly recommend family trip. Easy flight, light packing, good food, nice hotel, fantastic recreation options and shopping = big success and worth every penny!